As the summer months heat up changing the landscape of our diverse desert, celebrate the magic of a summer garden with Bonner David Galleries and Colorado artist Jane Jones! Bonner David Galleries: As a floral artist you must have an endless stream of inspiration; with such variety how do you choose your subjects? Is there a special process to it? Jane Jones: I want to portray the power, fragility, beauty and variety that nature has to offer, so I pick flowers that I think will do that. Of course I also have to love them. I am always looking for new flowers, in gardening catalogs, at the florist, at the nursery, in other people’s gardens…wherever I can find them. Then if it is something that will grow in my gardens, I give it a try. I love to see how they grow, and the various stages of life and blossoming, and how they look in sunlight. Then I spend some time with them to find out what it is that they can and seem to want to communicate….power, delicacy, movement, and what their best qualities are….color, an arc of a stem, the dance of their petals, majesty, humor, durability, and compose with them to show those qualities off. BDG: Do you have a favorite flower or varietal? Jane: My favorite flower is the one I am working on, or is blooming in my garden. Today my irises are beginning their annual show, and they are magnificent!!!! And I am painting roses today that I grew last summer, and I love them a lot right now. As I spend the time to paint a flower I see amazing things in it that I would not see any other way. And I see it as part of my job to help other people to see the magnificent beauty that is all around us…if we take the time to see it. BDG: Living in a climate that is very cold in the winter, how do you stay inspired throughout the year? Jane: During the gardening year, I set up still lifes with my flowers. I take hundreds of photos each year and they keep me inspired in the winter. But if I need a “flower fix” I go to the conservatory at the Denver Botanic Gardens, or flower shops just to see living plants. And if I am really lucky, one of my indoor plants, orchids or amaryllis, is blooming! I also keep notebooks with ideas and pictures and writings and all I have to do is spend a few hours, or minutes, going through those and I am fired up again. I have enough ideas to keep me busy for several lifetimes! BDG: Do you have a motto that you live by? Jane: My favorite motto is “No try, No get.” What that means to me is that if I don’t try for something, then it surely won’t ever happen. It means that to reach my goals I have to put me and my work and ideas out into the world every day. If I think up some goal, and think I can’t make it happen, then I can’t…but if I stay positive, and try like crazy, then if it is something that I am supposed to be doing, it will happen. I am pretty well grounded in my spirituality and believe that I have gifts and opportunities, and it is my responsibility to realize those and give back to the world. BDG: You have authored many books and DVDs teaching others your techniques? What motivates you to teach and write? Jane: I did not ever set out in this life to be a teacher, but I have been teaching something since I was 19 years old. Teaching opportunities have come my way. I think I have only ever applied for one teaching job. It seems to be one of the things that I am put here to do. I remember how much I wanted to learn to be an artist. It was an unquenchable desire and passion. When I was a total beginning painter, I was very lucky to have one of the most generous, nurturing and supportive teachers EVER! I know that I was very, very lucky! Then as I went on to art school I really had to fight for what I wanted to learn and sometimes it was really frustrating. DVDs and videos were not available, but I learned a lot from books on my own, and by just spending hours working in my studio. I know what it is like to want to learn, and need good instruction. I know what it is like to have that passion and desire to create, and need help getting there. My goal as a teacher is to help people on THEIR journey as artists. Learning to paint is very hard work, and I love hearing that I have made it easier for someone, or that I have helped them to rekindle a passion, or find their way toward realizing their artistic dreams. The feedback that I get from people is amazing and I am so pleased to be a part of their journey. BDG: Who is your hero? Is there one person who inspires you? Jane: I taught Art History for many years, so I have a lot of artistic heroes. Michelangelo is my favorite. I love the clarity of the communication in his work, and his unwavering commitment to his vision and his art during times of incredible hardship and frustration. There are two 17th century Dutch women who were incredible floral painters; Maria van Oosterwyck and Rachel Ruysch. (I included them both in my book, Classic Still Life Painting. The beauty of their flowers is breathtaking. And they made those paintings without the opportunities, conveniences and comfort that I take for granted. Again, they had visions for their work and realized them, no matter what! 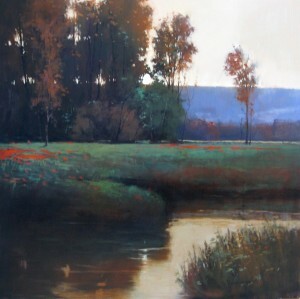 Jane Jones will reveal her latest collection “Nature’s Magic” on Thursday June 3, 2010 at from 6:00-8:00 p.m. The show will hang through June 16, 2010. You definitely must see her work in person to truly grasp the magnificence of her technique and we cannot wait to share this experience with you! 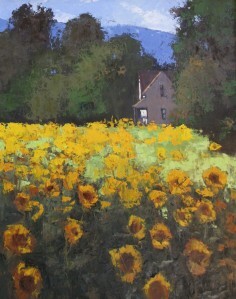 Don’t miss Jane Jones in the June issue of American Art Collector Magazine!